The selfie has become a deeply integrated component of the media strategy of politicians and public figures. This article considers three case studies of selfies portraying powerful leaders: Hillary Clinton, Barack Obama, and Pope Francis. 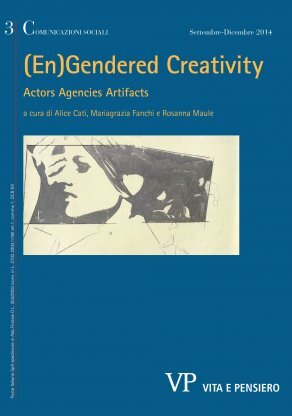 It argues that these images became a battlefield for negotiating the authorship of the actors involved, and that issues of gender and sexuality are a key element of the ‘fantasy’ sustained by them. The analysis traces the overlapping of the mechanisms of celebrity culture with contemporary political communication. In observing the manner in which these selfies have been discussed, each image is placed in relation to other related media objects in order to delimit the interpretive framework. How come such pictures, which were not directly taken by these three public figures, have come to be identified as their own selfies? This question can be partially addressed by queer theory, which provides useful insights on how moral concerns over sexuality and online self-representation shape the perception of selfies. The appeal of (mis)reading these three images as selfies lies in their ambivalence towards ‘illicit’ exual fantasies circulating around these powerful figures. By considering these pictures as objects whose aesthetics and cultural function are closely aligned with ‘authenticity’, we allow ourselves to believe that they are conveying some fundamental ‘truth’ about their authorial subject.